Draft: 2009, Cleveland Indians, 9th rd. Preston Blake Guilmet (pronounced GIL-met)...Twitter: @Pguilmet11...played high school baseball at Oakmont (CA) High School...played college baseball at the University of Arizona...named 2007 Pac-10 Pitcher of the Year his sophomore season at Arizona...also earned first-team All-American by Collegiate Baseball and Baseball America. Began season with Triple-A Memphis (St. Louis) ... 18 of his 21 appearances at Memphis were scoreless, posting a 0.93 ERA (29.0 IP, 3 ER) with just five walks and 35 strikeouts ... Selected by the Cardinals June 5, pitching in two games before being designated for release or assignment June 7 ... Claimed off waivers by Toronto June 9, pitching in six games before being designated for release or assignment again July 4; cleared waivers and reported to Triple-A Buffalo ... Pitched in just three games for the Bisons, spent two different stints on the 7-day disabled list in most of July and all of August with a left shin contusion, followed by right elbow impingement ... Combined to go 0-1, 11.70 ERA (10.0 IP, 13 ER) in eight games at the major league level between St. Louis and Toronto. Pitched for the Yakult Swallows of the Japanese Central League...Made 28 appearances with four games started and posted a 1.17 WHIP with a 9.38 strikeouts/9 IP rate. Made a career-high 65 appearances for Triples-A Toledo (Detroit) in his first season in the Tigers organization...tied for the International League lead in appearances (65) with Pedro Beato (Norfolk) which also tied for the overall Minor League lead...led all International League relief pitchers with 1.19 BB/( IP ratio, while ranking in the top five in strikeouts/9 IP (10.80, 2nd) and fewest baserunners/9 IP (11.20, 4th). Was at one part a member of the Blue Jays, Rays, Dodgers and Brewers organizations making stops for six different clubs but just two stops in the major leagues with only Tampa Bay and Milwaukee...appeared in 44 games between the minors and majors...recorded four saves and posted a 2.15 ERA and 1.01 WHIP in 39 appearances in the minor leagues, while surrendering only one home run to 201 total batters faced. Appeared in 10 games out of the bullpen from May 12-July 20 for BAL... Was his first season in the Orioles system after five with Cleveland. Did not allow a run over his first five outings totalling 6.0IP. Posted 10 saves at Norfolk and now has recorded 100 minor league saves. Struck out 12 and walked just two in his 10.1 IP at the Major League level and 54 in 48.1 for Norfolk (AAA). Held LH to a .211 average and now a .205 mark (57-278) over the last three seasons. Guilmet spent most of the season at Triple-A Columbus where he went 5-4 w/20 saves and a 1.68ERA in 49 relief appearances (64.1IP, 43H, 19R/12ER, 72K, .182AVG)...Ranked 3rd in the International League in saves and limited Triple-A right-handed hitters to a .165 (22-133) average against for the season...From June 29 until the end of his tenure with the Clippers he posted an ERA of 0.33 over his last 18 outings (27.1IP, 13H, 1ER, 30K) and did not allow a run after July 31 (13.0IP)...On the year at AAA batters hit .218 (22-101) off him with runners on base and .191 (13-68) with RISP as he fanned 10.1 batters per 9.0IP and walked just 1.96 walks per 9.0IP. ?e has appeared in 2 games with the Indians over 2 stints with Cleveland in July and August (10.80ERA, 3.1IP, 6H, 4R/ER) and made his MLB debut on July 10 vs. Toronto (0.2IP, 0H, 0R, 0BB, 1K-Kawasaki)...Was with Cleveland from July 7-10, August 8 and from Sept. 1 thru the end of the season...Allowed runs in 2 of his 4 Major League outings and in September he appeared in 2 games (2.0IP, 2H, 2ER, 9.00ERA). Spent entire season at AA Akron where he led all Indians farmhands with 24 saves in 29 chances and was an org MiLB.com all-star.. Tied for Eastern League lead w/24 saves (T2nd in games)...Led league with 39 games finished...Named to EL postseason All-Star team...Held EL hitters to a .211 avg against for the year (41-194) w/4HR in 52.2IP...Lefties hit just .200 (16-80, 0HR)...Recorded 17 straight scoreless outings over 18.0IP (10H) from June 10-July 19 to lower his ERA from 3.32 to 1.70...Combined in May/June his ERA was 1.02 (17.2IP, 12H, 2R/ER)...Batters hit .216 (11-51) off him with RISP... Posted 5 saves in 5 chances in the Eastern League playoffs for the EL champs (6.1IP, 3H, 0R, .143AVG). Ranked T1st in Indians PDS in saves with 35 in 36 chances... Also led Carolina League in saves, games finished (48), appearances (52), BB/9IP (1.54) and baserunners/9IP (8.33) and ranked 3rd in batting average against (.202) and 4th in SO/9IP (9.26)... Named to Carolina League midseason and postseason All-Star teams...Did not allow a run over his first 16.2IP on the season (15G)... Did not allow a run in 11 August games (13.0IP, 8H, 0R)...RHH batted .186 (24-129) off him...Named to Arizona Fall League "Rising Stars" game after the season...Carolina League midseason and postseason All-Star. Ranked 3rd among all Indians minor leaguers in saves (11). November 19, 2018 Minnesota Twins signed free agent RHP Preston Guilmet to a minor league contract and invited him to spring training. November 19, 2018 RHP Preston Guilmet assigned to Rochester Red Wings. October 10, 2018 RHP Preston Guilmet elected free agency. August 31, 2018 Buffalo Bisons activated RHP Preston Guilmet from the 7-day disabled list. August 25, 2018 Buffalo Bisons placed RHP Preston Guilmet on the 7-day disabled list retroactive to August 24, 2018. August 21, 2018 Buffalo Bisons activated RHP Preston Guilmet from the 7-day disabled list. July 16, 2018 Buffalo Bisons placed RHP Preston Guilmet on the 7-day disabled list retroactive to July 14, 2018. July 6, 2018 Toronto Blue Jays sent RHP Preston Guilmet outright to Buffalo Bisons. July 4, 2018 Toronto Blue Jays designated RHP Preston Guilmet for assignment. June 11, 2018 Toronto Blue Jays activated RHP Preston Guilmet. June 9, 2018 Toronto Blue Jays claimed RHP Preston Guilmet off waivers from St. Louis Cardinals. June 7, 2018 St. Louis Cardinals designated RHP Preston Guilmet for assignment. June 5, 2018 St. Louis Cardinals selected the contract of RHP Preston Guilmet from Memphis Redbirds. January 6, 2018 St. Louis Cardinals signed free agent RHP Preston Guilmet to a minor league contract and invited him to spring training. January 6, 2018 RHP Preston Guilmet assigned to Memphis Redbirds. November 7, 2016 RHP Preston Guilmet elected free agency. October 21, 2016 RHP Preston Guilmet assigned to Toros del Este. April 6, 2016 RHP Preston Guilmet assigned to Toledo Mud Hens. December 8, 2015 Detroit Tigers signed free agent RHP Preston Guilmet to a minor league contract and invited him to spring training. November 6, 2015 RHP Preston Guilmet elected free agency. September 8, 2015 Milwaukee Brewers sent Preston Guilmet outright to Colorado Springs Sky Sox. August 5, 2015 Milwaukee Brewers optioned RHP Preston Guilmet to Colorado Springs Sky Sox. July 31, 2015 Milwaukee Brewers claimed Preston Guilmet off waivers from Los Angeles Dodgers. July 21, 2015 Los Angeles Dodgers designated RHP Preston Guilmet for assignment. July 11, 2015 Los Angeles Dodgers optioned RHP Preston Guilmet to Oklahoma City Dodgers. 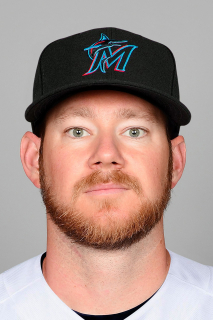 July 10, 2015 Los Angeles Dodgers claimed Preston Guilmet off waivers from Tampa Bay Rays. July 7, 2015 Tampa Bay Rays designated RHP Preston Guilmet for assignment. July 3, 2015 Tampa Bay Rays optioned RHP Preston Guilmet to Durham Bulls. July 1, 2015 Tampa Bay Rays recalled Preston Guilmet from Durham Bulls. June 12, 2015 Tampa Bay Rays optioned RHP Preston Guilmet to Durham Bulls. June 10, 2015 Tampa Bay Rays recalled Preston Guilmet from Durham Bulls. May 25, 2015 Tampa Bay Rays optioned RHP Preston Guilmet to Durham Bulls. May 24, 2015 Tampa Bay Rays recalled Preston Guilmet from Durham Bulls. May 13, 2015 Tampa Bay Rays claimed RHP Preston Guilmet off waivers from Toronto Blue Jays. May 13, 2015 Tampa Bay Rays optioned RHP Preston Guilmet to Durham Bulls. May 10, 2015 Toronto Blue Jays designated RHP Preston Guilmet for assignment. March 15, 2015 Toronto Blue Jays optioned RHP Preston Guilmet to Buffalo Bisons. December 23, 2014 Toronto Blue Jays claimed Preston Guilmet off waivers from Pittsburgh Pirates. December 19, 2014 Pittsburgh Pirates designated RHP Preston Guilmet for assignment. October 3, 2014 Baltimore Orioles traded RHP Preston Guilmet to Pittsburgh Pirates for cash. September 27, 2014 Baltimore Orioles designated RHP Preston Guilmet for assignment. July 31, 2014 Baltimore Orioles optioned RHP Preston Guilmet to Norfolk Tides. July 28, 2014 Baltimore Orioles recalled Preston Guilmet from Norfolk Tides. July 22, 2014 Baltimore Orioles optioned RHP Preston Guilmet to Norfolk Tides. July 10, 2014 Baltimore Orioles recalled Preston Guilmet from Norfolk Tides. July 6, 2014 Baltimore Orioles optioned RHP Preston Guilmet to Norfolk Tides. July 5, 2014 Baltimore Orioles recalled Preston Guilmet from Norfolk Tides. June 6, 2014 Baltimore Orioles optioned RHP Preston Guilmet to Norfolk Tides. May 25, 2014 Baltimore Orioles recalled Preston Guilmet from Norfolk Tides. May 23, 2014 Baltimore Orioles optioned RHP Preston Guilmet to Norfolk Tides. May 22, 2014 Baltimore Orioles recalled Preston Guilmet from Norfolk Tides. May 14, 2014 Baltimore Orioles optioned RHP Preston Guilmet to Norfolk Tides. May 12, 2014 Baltimore Orioles recalled Preston Guilmet from Norfolk Tides. April 7, 2014 Cleveland Indians traded RHP Preston Guilmet to Baltimore Orioles for 2B Torsten Boss. April 7, 2014 Baltimore Orioles optioned RHP Preston Guilmet to Norfolk Tides. March 30, 2014 Cleveland Indians designated RHP Preston Guilmet for assignment. March 19, 2014 Cleveland Indians optioned RHP Preston Guilmet to Columbus Clippers. October 4, 2013 Preston Guilmet roster status changed by Cleveland Indians. October 2, 2013 Cleveland Indians reassigned RHP Preston Guilmet to the minor leagues. September 1, 2013 Cleveland Indians recalled RHP Preston Guilmet from Columbus Clippers. August 9, 2013 Cleveland Indians optioned Preston Guilmet to Columbus Clippers. August 8, 2013 Cleveland Indians recalled Preston Guilmet from Columbus Clippers. July 11, 2013 Cleveland Indians optioned Preston Guilmet to Columbus Clippers. July 7, 2013 Cleveland Indians selected the contract of Preston Guilmet from Columbus Clippers. January 24, 2013 Cleveland Indians invited non-roster RHP Preston Guilmet to spring training. May 16, 2012 Preston Guilmet roster status changed by Akron Aeros. April 4, 2012 RHP Preston Guilmet assigned to Akron Aeros from Carolina Mudcats. September 15, 2011 RHP Preston Guilmet assigned to Phoenix Desert Dogs. April 4, 2011 RHP Preston Guilmet assigned to Kinston Indians from Lake County Captains. May 10, 2010 Preston Guilmet assigned to Lake County Captains from Mahoning Valley Scrappers. June 19, 2009 Preston Guilmet assigned to Mahoning Valley Scrappers from Cleveland Indians. June 17, 2009 Cleveland Indians signed RHP Preston Guilmet.